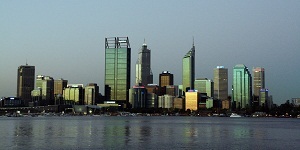 Founded in 1997 and based in Perth Australia, Aurora Consulting is an innovative IT consulting practice specialising in Enterprise Architecture, Business Intelligence and System Integration. Technically, Aurora is highly skilled in Oracle, SQL Server, Java, .Net, AWS, Cognos and Open technology. Our company enjoys a superb track record in providing exceptional levels of customer satisfaction and excellent value for money. By combining extensive business experience and technical expertise, Aurora is uniquely positioned to assist our customers with their information technology needs. In the fields of Databases, E-Business Solutions, Data Warehousing and Business Intelligence, Aurora has delivered a large number of successful projects and top-quality applications. Many Aurora Consultants have extensive experience with a wide range of Oracle, Java, Microsoft, AWS, IBM Cognos and other tools. In their many years of experience, our consultants have developed countless business solutions that are exemplary in their respective industries. Aurora enjoys a superb track record, and draws on this invaluable knowledge to enable the best practices and time-proven solutions to be part of our customers’ implementation. In addition to our core business activities, Aurora Consultants frequently present at international and regional events such as Oracle Open World and User Group Conferences.